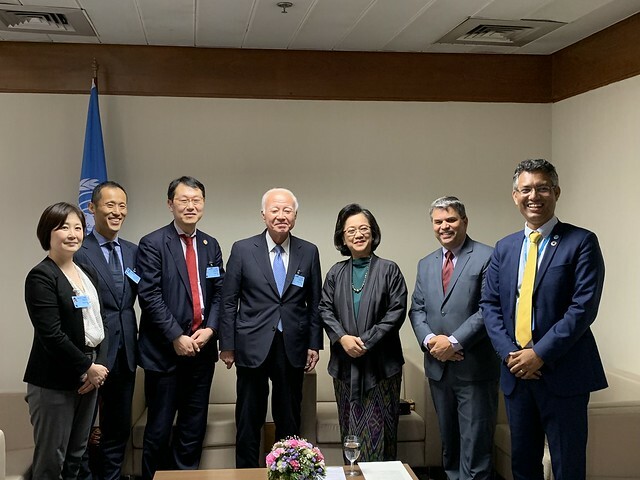 The Sixth Asia-Pacific Forum on Sustainable Development (APFSD-6) took place in Bangkok, Thailand from 27-29 March 2019. APFSD is an annual meeting convened by the United Nations Economic and Social Commission for Asia and the Pacific (UNESCAP) aimed at strengthening the region’s readiness for the United Nations’ High-level Political Forum on Sustainable Development (HLPF). Organised under the theme of “Empowering people and ensuring inclusiveness and equality”, APFSD-6 conducted a stocktaking of progress on the Sustainable Development Goals (SDGs) in the region, as well as assist member countries with the preparation of their Voluntary National Reviews (VLRs) for HLPF 2019.